I was amused to learn the Democratic National Convention was going to screen a climate movie this evening. I didn't watch but was intrigued when Twitter lit up about "over the top" and how poorly the movie went over. So, I went to the DNC web site but couldn't find the movie. However, I did find it here. And, much to my surprise, most of the early part of tonight's movie is recycled footage from two years ago! The original program ran on Showtime and it was called Years of Living Dangerously. I wrote about it here. The title of my piece was an allusion to Showtime's "Californication." Note the photo of Arnold from April, 2014, and the screen capture below from tonight's movie. 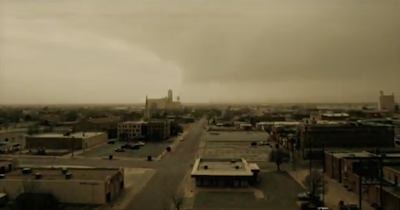 The entire Dangerously video had an intentional sepia tint to make it look "drier" and conditions worse than they were. I lightened up the screen capture above so you can see the match with Dangerously's advertisement (at top). 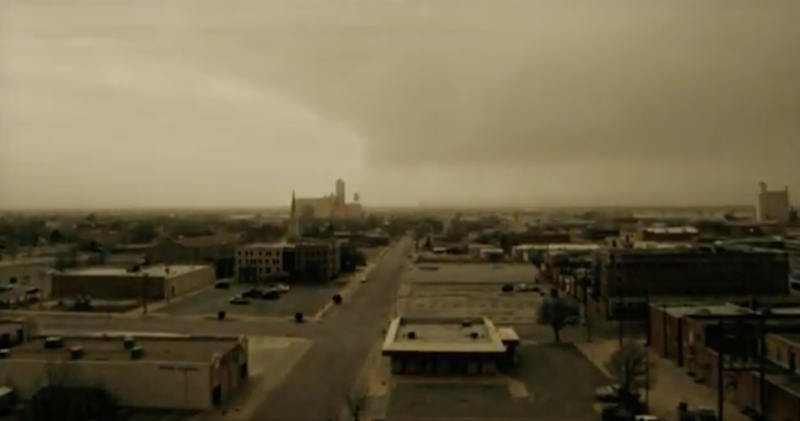 Tonight's movie repeated the same sepia-tinted west Texas footage about the supposed terrible drought in that region (see below), presented as current climate conditions. A farmer is on camera talking about "last year" as if it were 2015 when, in reality, it was 2013. The only problem with that segment is the drought in west Texas broke long ago. Currently, no part of Texas is experiencing drought conditions. NOAA's official current drought index. Browns = drought. No browns in any of Texas. 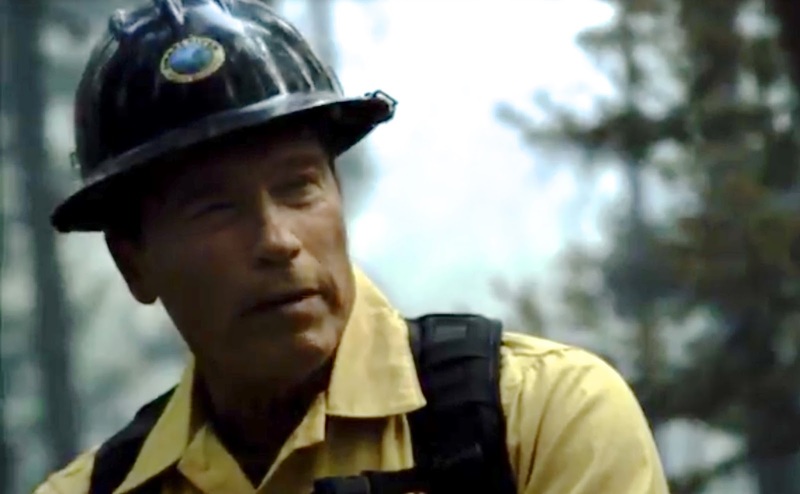 Apparently, the climate has been so benign that they couldn't find new more disasters to film since tornadoes are way down, there have been zero major hurricanes in the U.S. and the drought in West Texas ended. The same old footage of Hurricane Sandy has gotten tiresome. 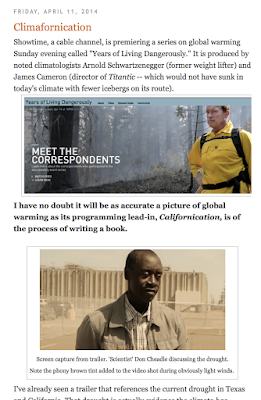 The DNC movie repeated the same old lie that the rise in sea level the last 100 years is "largely due to climate change" when the rate of sea level rise hasn't changed since the end of the Little Ice Age. I had to laugh at noted climate scientist Jack Black making a prediction about when Miami would be under water. So, the DMC got to see old footage, inaccurately presented. Typical of Big Climate. I hope the DNC knows what they were being billed for. Great column. It needs lots of circulation.